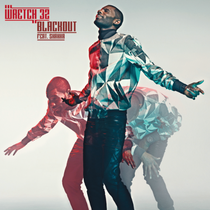 ‘Blackout’ is the first single to be released from Wretch 32’s forthcoming third studio album. Premiered on MistaJam’s Radio 1Xtra show and as Zane Lowe’s ‘Hottest Record’ on Radio 1, the track was produced by emerging talent Knox Brown who hails from Birmingham and created the record in his bedroom studio. ‘Blackout’ features London-based singer Shakka who's resounding vocal compliments the samba drum rhythms and velvety basslines. Out next month, the release includes a set of remixes from T Williams, Bobby Tank, Petite Noir and Will & Bill. It’s out May 12 on Levels/Ministry of Sound. Check the video out below.